Well, another Sweeper Summit is in the books, but this year, we saw a lot of enhancements that re-branded the event as Sweeper Summit & Equipment Expo Leadership Conference. This expanded format brought together over 125 leaders in the power sweeping service industry in beautiful Henderson, NV just outside Las Vegas. 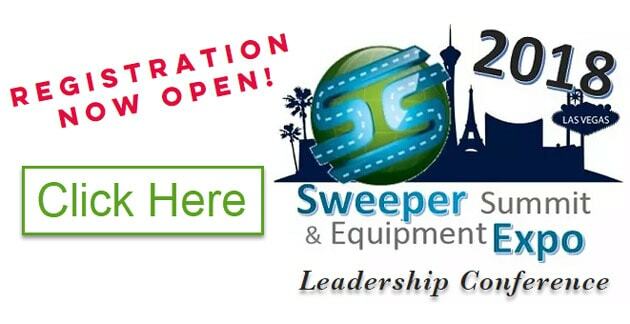 Sweeper Summit is THE premier executive level workshop & leadership conference for the Power Sweeping Industry now including an expanded Equipment Expo! With over 120 attendees representing 42 different Member Partner companies and 17 Vendor Partners of 1-800-SWEEPER the 3-day, 2017 Sweeper Summit was a resounding success! For the fifth consecutive year, attendance at Sweeper Summit grew significantly, as did the opportunities for Partners to interact. Before the Summit even got underway, equipment manufacturer TYMCO hosted 1-800-SWEEPER Partners at the company’s Waco, TX training facility. As in previous years, the Benchmark sessions started on the first official day, allowing participants to discuss in an open, non-competitive atmosphere key business costs for labor, insurance, equipment maintenance, tires, employee turnover, etc. as well as other, relevant metrics that drive bottom line profits and day-to-day operations within our niche sweeping service industry. This highly anticipated part of Sweeper Summit was again led by Tom Noon of Industry Insights. Your 1-800-SWEEPER staff would like to thank all of the vendors, prospective partners and power sweeping company owners / management teams who attended our organization’s fourth annual Sweeper Summit. Once again expertly coordinated by Member Services Administrator Carolyn Bell, this year’s event was held in Phoenix AZ. Based on early feedback, attendees enthusiastically agree the conference was a huge success – educational, enjoyable and memorable! Unique within our industry, Sweeper Summit has come to represent an opportunity for our membership to share best management practices and deeply understand metrics specific to sweeping service businesses. At the same time, our group continues to get fantastic personalized training, together with old friends and new partners in a casual and relaxed atmosphere.